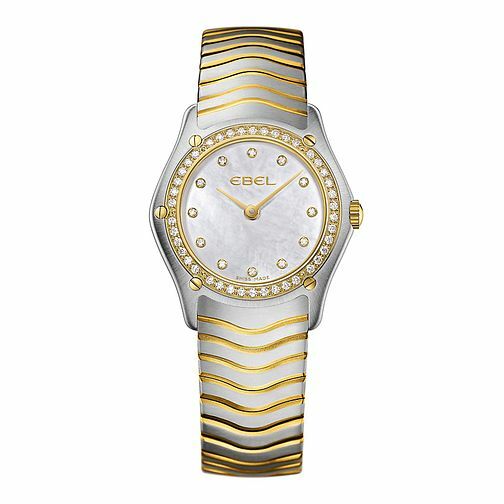 Ebel ladies' gold/stainless steel bracelet watch. Treat yourself to some feminine style with this ladies' gold and stainless steel bracelet watch. Its round Mother of Pearl dial is accented by dazzling diamond hour markers, and features a gorgeous gold bezel. Innovative and high end watch design.